Our vision is to be a leader in STEM discovery, learning and innovation that will shape the intellect, social values and principles of future generations. State-of-the-art professional development for P-12 teachers. The Long Island Explorium is a New York State certified provider of Continuing Teacher and Leader Education (CTLE) credits. Our programs help inspire teachers to incorporate STEAM and constructivist approaches into their standards-based lessons. Teachers learn how to foster engagement of all learners through hands-on challenges that explore the engineering design process, encourage teamwork, and incorporate career and civic awareness. The Explorium professional development programs guide teachers in adopting a constructivist pedagogy, learning the practices aligned within it, and redefining their classrooms or school libraries as mini makerspaces —with simple everyday materials. Firm belief in the constructivist approach to learning. Children are not empty vessels to be filled with knowledge by teachers; but rather continually constructing their own knowledge. Constructivist teaching invites learners to consider socially important, relevant challenges and endeavors. Failure is not a bad thing. It helps us to develop ‘GRIT’. Grit is a distinct combination of passion, resilience, determination, and focus that allows a person to maintain the discipline and optimism to persevere in their goals even in the face of discomfort, rejection, and a lack of visible progress for years, or even decades. The number one predictor of success in life. Through play children OF ALL AGES can learn to make sense of the world around them. Play helps children to develop social and cognitive skills, mature emotionally, and gain the self-confidence required to engage in new experiences and environments. Constructivism is a theory, based on scientific study, of how people learn. Briefly, this learning theory states that people are not empty vessels to be filled with knowledge by others; people continually construct their own knowledge. Constructivist teaching is based on this learning theory and uses practices that invite learners to consider socially important, relevant challenges and endeavors. Why is it an ideal approach for STEM learning? The Long Island Explorium seeks to support and develop the next generation of creative thinkers and problem solvers. Our curriculum, exhibits and educational approach are unique by design, developed to spark inventive solutions, build confidence by embracing the “fail forward” concept and foster teamwork through hands-on workshops and activities that pose challenges with multiple outcomes or solutions. The Long Island Explorium (formerly known as the Maritime Explorium) was launched in 2004 by a consortium of scientists, educators and entrepreneurial residents seeking to provide a rich educational STEM experience to the Long Island and NY metro area community. In May of 2005, the Long Island Explorium was designated as a 501(c)3 not-for-profit and was chartered with the New York State Department of Education. 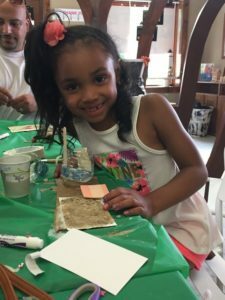 Because of this focus on creativity and innovation, the Explorium is recognized as Long Island’s Family Maker Space, a place for families to play, create, build and grow together. Today, the Explorium continues to expand its programming to include professional teacher development and training to meet the goals of the Next Generation Science Standards in New York State. The Long Island Explorium is a New York State certified provider of Continuing Teacher and Leader Education ( CTLE) credits. The Long Island Explorium could not operate without the contributions of our volunteers who contribute their time, ideas, and energy. Their unique talents enable the Explorium to offer its current level of services to the community. The program is flexible, matching available opportunities to your talent and availability. All volunteers can earn the prestigious Presidential Volunteer Service Award, by logging the hours you volunteer at our Explorium through a calendar year (April 1, 2018– April 1, 2019). All of us at the Long Island Explorium are committed to provide an enriched experience for children and their parents through a constructivist approach to learning. We strive to provide an engaging experience that can only be achieved by the combined effort of a dedicated skilled team of employees and volunteers. We are always on the look out for individuals who are passionate about STEAM and would love to share their knowledge, skills and time with us. Please feel free to send us an email stating your interests and we will keep all inquiries in strict confidence.